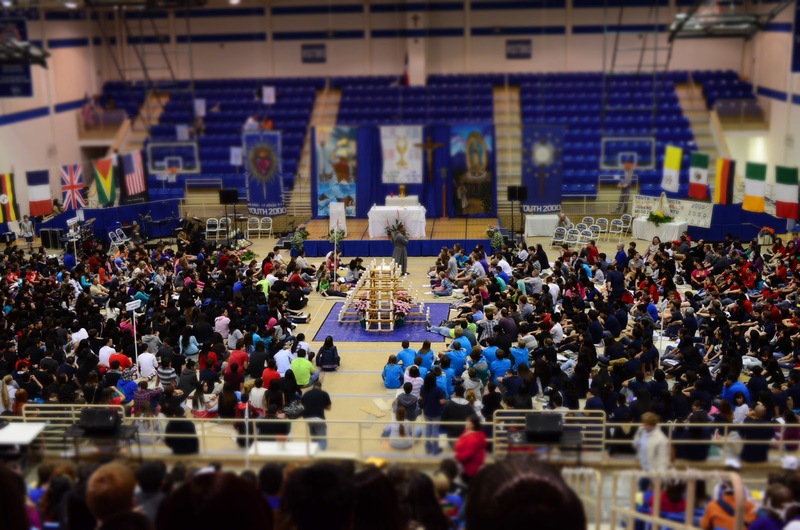 This past weekend I helped out with a retreat for young Catholics. 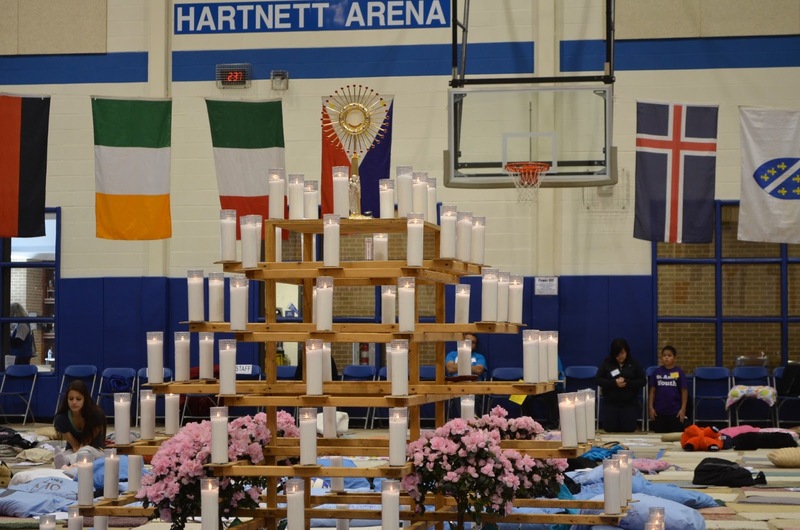 It’s called Youth 2000, and it’s a Eucharist-centered retreat with the Franciscan Friars and Sisters of the Renewal. I won’t provide a detailed recounting of my experience like I usually do when going to various events. Rather, I want to highlight something that stuck out to me. First, allow me to reiterate that the Catholic faith teaches and upholds that Jesus wasn’t being symbolic at The Last Supper. And so, lengthy theological discourses aside (for such a thing deserves its own fair treatment and study), the Eucharist is Jesus’ Body under the appearance of bread. He is truly present: body, blood, soul, and divinity in the Eucharist. So yes, this retreat was a Jesus-centered retreat. 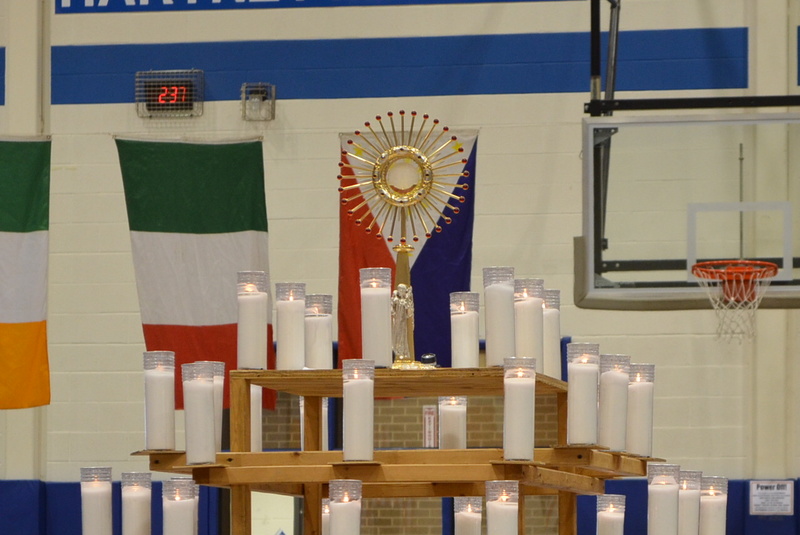 Quite literally, as Jesus, in the Eucharist, was placed in the center of the room the whole weekend as we had our retreat. There was a point on Saturday when the retreaters were dismissed to go to workshops to dive deeper into discussions following a talk given by one of the friar priests. Since I had unique roles for this retreat, I didn’t have to go to a workshop and thus had some time to kill while everyone else was off doin’ their thang. Because of my unique roles, I didn’t have time to just focus on Christ because I was always thinking about other stuff or worried about others. Since the gym space used for this retreat was cleared out by most everyone, I decided to seize this opportunity to behold and adore Jesus. I had been sitting afar because the crowd, now no longer there, had left. So, I went up closer to a spot that wasn’t all up in Jesus’ grill with respect to the faithful who were already up front with Him. I positioned myself so I was decently perpendicular to the Eucharist. As I was there kneeling with my head bowed down for a while, I decided to look up and stare at Jesus directly. Cool shot, huh? Let me explain. For the retreat (and unique mostly to this retreat only), we had this structure of candles known as the “Burning Bush” to signify the original of Exodus fame where God talks to Moses. That gold thingy with rays atop the pyramid structure is a monstrance, a vessel used to show (think Spanish, “mostrar”…”to show”) Jesus in the Eucharist, especially when adoring Him. It makes sense, right? That in a Eucharist-centered retreat, we’re there to listen to what God has to say, much like how Moses was there before the Burning Bush to listen what God had to say to him back then? I’ll admit, it was cool having that direct view of Jesus in prayerful adoration. But when I looked up…my attention was definitely on Jesus, but at the same time, something caught my eye. Notice how Jesus in the monstrance replaces the sun on the Philippine flag. Ok, I confess that I got up to get my camera and returned to my spot to capture a more perfect perspective, but truly I say to you that when I looked up at Jesus for a little bit, I noticed how the monstrance was directly in front of the Philippine flag. And I was at a good enough of an angle to see how the monstrance covers up the rays of the sun on the flag. I reflected on this because it just seemed so…purposeful. I wasn’t really actively praying…but rather…staring and listening. Adoring. And that’s probably how I noticed my perspective revealed this monstrance to seem as if it is the sun of the flag. And here Jesus is radiating like the sun at the center of the Philippine flag! Now, I know Catholicism is very central to western Filipino culture. Catholicism is central to Filipino identity (at least in my experience). Looking at this and reflecting on it more…if being Filipino is central to my identity as JD…is Jesus the center of my identity? Again, is Jesus the very center of who I am? As a Christian, Jesus needs to be the center of my identity. So as long as I call myself Catholic and Christian…Jesus must be at the center of my identity. My life. And from there, Jesus should radiate through the other things I identify with. For me, that is being Filipino. Being an Aggie. Being a band nerd. Being an engineer. Being a quasi-professional volunteer in extra-curriculars. Being (insert here). Being who I am in whatever I do. And the crazy thing is…I didn’t kneel before Jesus during this time trying to seek this realization. It just…came to me in such a real, tangible way by apparent coincidence. If you are who God calls you to be, then you will set the world ablaze. 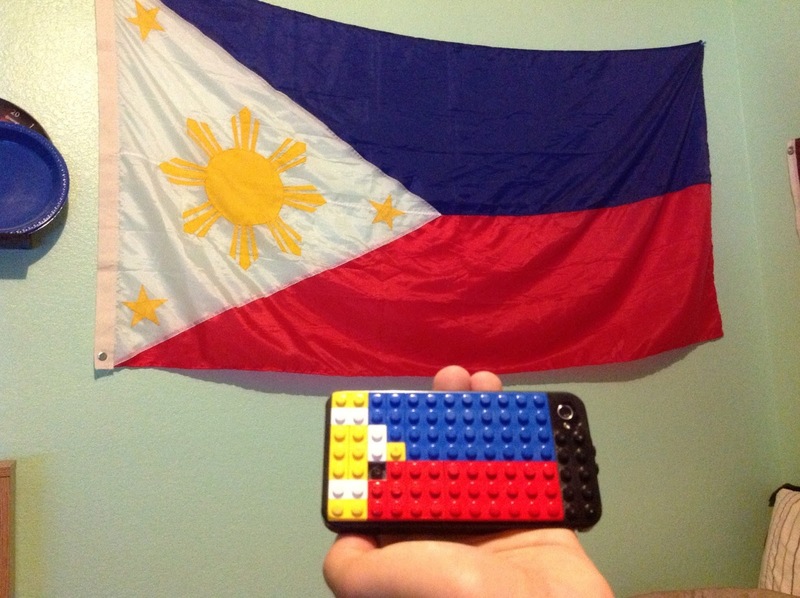 …and that ties in so wonderfully with seeing Jesus radiate through the Philippine flag. He didn’t have to speak to me in any way. He just had to show me. Is Jesus the very center of who I am? That shall be my litany of prayerful reflection in response to that question this week.